Trauen early in the year of 1937.
designing ond producing war-winning technology. Mercedes Benz truck. 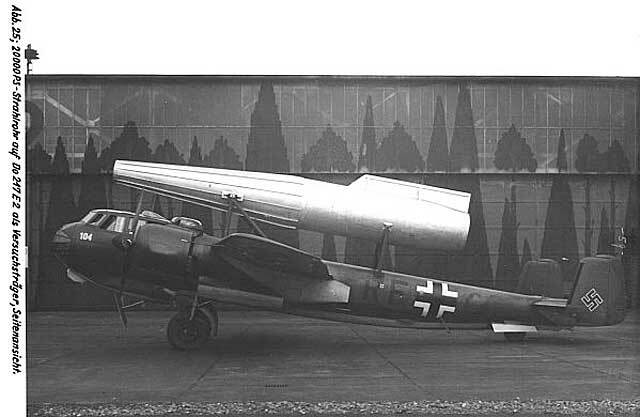 Later these engines where tested on two different planes, the smaller one with 2,000 Ps on a Dornier Do 17 Z, and the bigger one with a rating of 20,000 PS on a Dornier Do 217.
plane for high altitude missions. The tests for these plane were stopped in late 1944. Back in Germany he took part as an lector at the DFS an the Technical University (TU) in Berlin. Dr. Eugen Sänger died in winter 1964 in case of an heart attack. 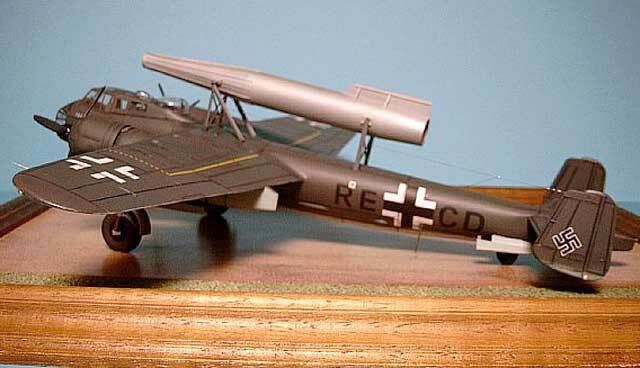 This conversion is based on the beautiful Revell Do 217E-3 in 1/48 scale. are also easy to do. 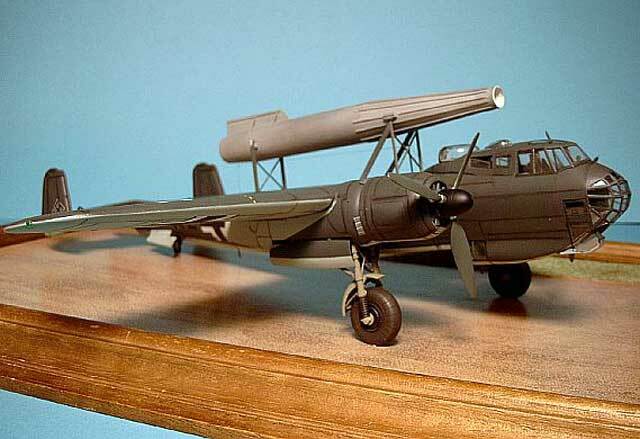 Most of the modifications involve cleaning up the plane fby removing its weapons. and some Eduard etched parts for the cockpit. A very good friend of me put a lot of work into finishing the body for the ramjet engine. Many thanks to him and the Volkswagen coaching for doing this job for me! He did his work really well, so now you can look thru the engine to see the injection tubes that I have installed inside the engine. using Evergreen profiles and strips. 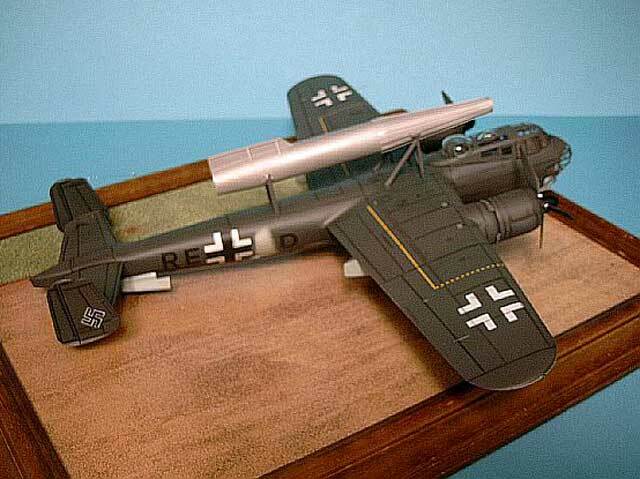 The whole plane is painted whith X-tra color enamels, and handpainted with a light application of pastels on the panel lines. The decals are a mix of handmade and digging deep in my spares box.